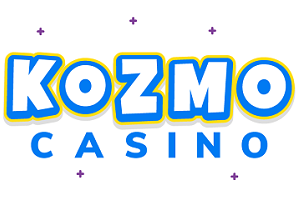 Kozmo Casino is licensed by the UK Gambling Commission and the Gibraltar Gambling Commission and are on hand 16-hours a day to help you with any questions or queries you may have. 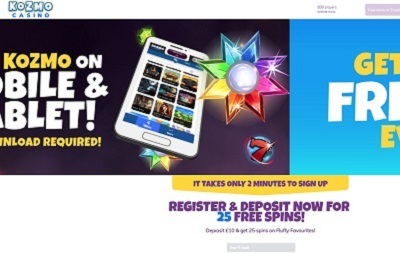 Kozmo Casino’s is a bit of a basic creation, but as you probably know already, basic looking online casinos usually offer the best kind of user experience. And yep, Kozmo’s does do a pretty good job in that regard. The games are just a scroll away and the promos are right in front of you when you land on the page. There’s also a list on the right-hand-side which shows you the recent winners, plus a help tab to the right of that with FAQs and a phone number. A very good set up indeed. Kozmo Casino offer all of the popular payment methods out there including PayPal, Mastercard, Visa, paysafecard, Neteller and EntroPay. The minimum deposit is £5 and minimum withdrawal is £10. 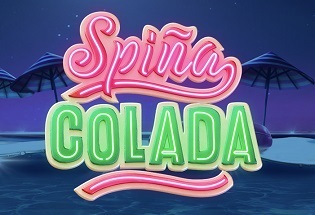 The maximum deposit limit is between £500 and unlimited (depending on your VIP level) and there is no maximum withdrawal. 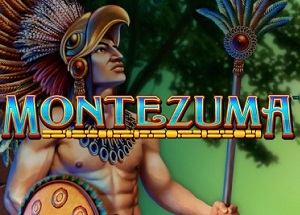 At the time of writing over 400 games find their home on Kozmo Casino, and what a life selection they have too including all your favourite slot titles like Starburst, Rainbow Riches and Gonzo’s Quest plus the lovely millionaire-making progressive slots of Mega Fortune and Millionaire Genie. There’s also live casino and the traditional table classics, but let me tell you what is annoying, the lack of game filters. Man, to find a game you either have to search it by name or just browse through the hundreds that are on offer. They really need to sort that out. I love a lot about this casino, I really do. When a casino offers a bonus that comes with no wager requirements, that always puts the casino on a level above the rest for me. There’s nothing worse than being lured in by some big, lovely bonus then seeing that you have to play through it 80 times before you can withdraw. That’s not really on, for me. But yeah, no such problem here, plus you get all the other good stuff too like a nice and easy to use website, all the popular payment methods, a whole host of quality games, and a low minimum withdrawal. The only gripe I have is the game filters, really. Like if you wanted to find all of the progressive slots on offer you would have to know them all by heart because there’s no way of finding them otherwise. And that is annoying. But hey, we can’t all be perfect, and Kozmo are perfect in every other department. A very good job done.